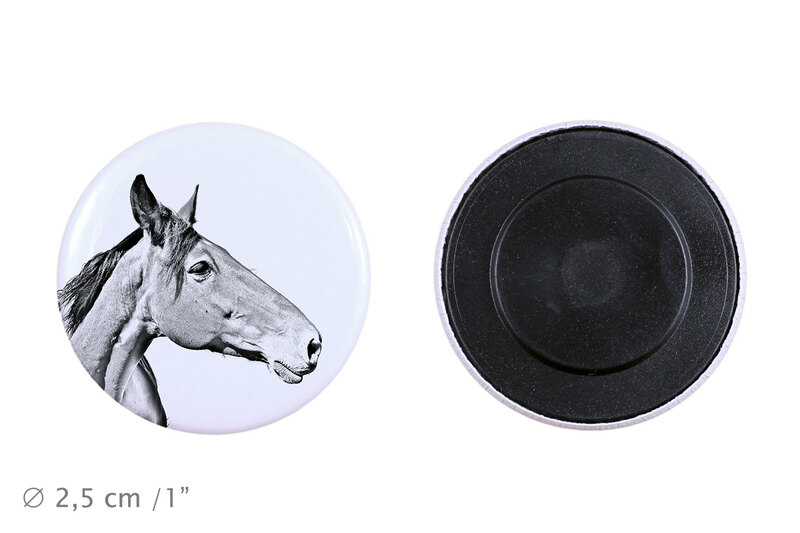 A collection of pure-breed horse pins. 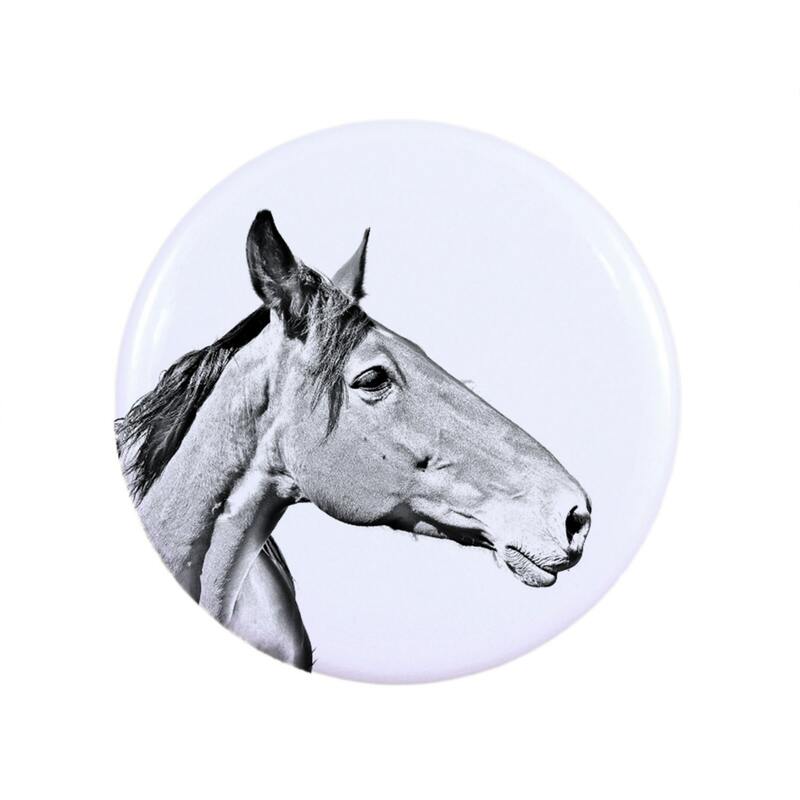 A pin with your beloved horse! This metal wonder is covered with foil that gives depth to the printed graphic and protects it from scratches! The horse print is safe! 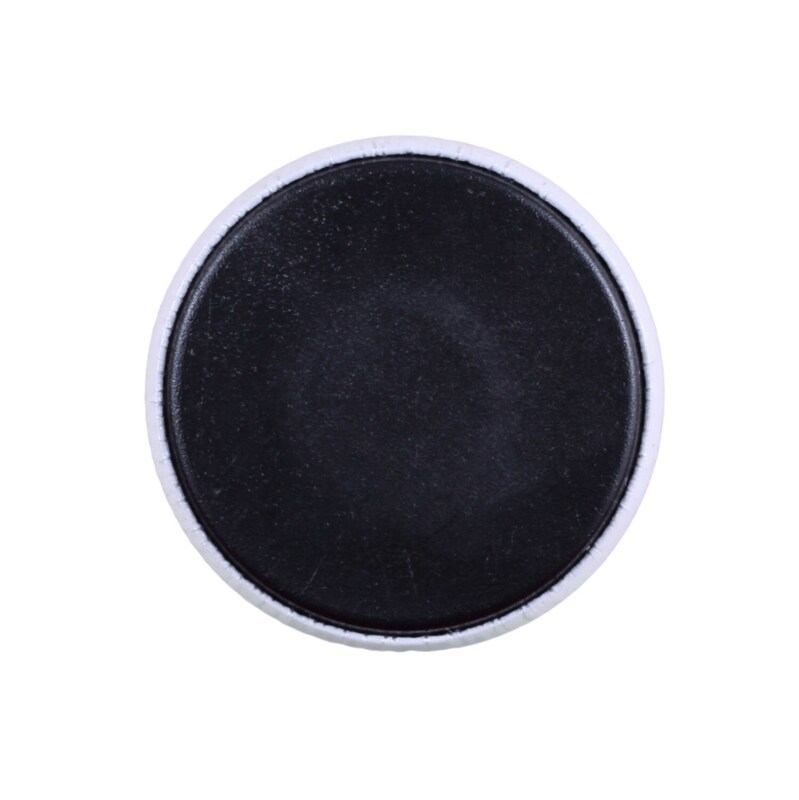 The pin is very light and durable. It is a perfect idea for a gift for lovers of horses. The perfect gadget for dog shows and for your home. ATTENTION! There is a possibility of creating your own pattern on the pin for extra payment.